PRE SEASON RIDE SALE . Fantasy Island Amusement Park is located in Beach Haven, NJ. Take Advantage of the annual pre season ride sale by purchasing 120 tokens for $60. Interested in buying more than 1? check out our online special. Tokens can only be used on rides (not games or arcade) and cannot be combined with other balances on cards. 2019 Souvenir Cups can be redeemed at Guest Services any operating day after May 18, 2019. 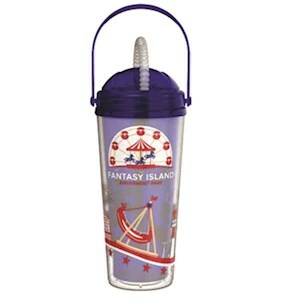 Receive $.75 fountain refills at any Fantasy Island food location for the entire 2019 season. Also receive $2 Fresh Squeezed Lemonade and ICEE refills from the Surfside Snack Shack.